One of my impulse fabric buys from Fiddlehead Artisan Supply during my trip to Maine this summer was a fat eighth roll of Dupioni silk, in gorgeous blues and greens collectively named “Water” (which is exactly what it makes me think of 🙂 Of course, I had no real plan for these silks, they were just too beautiful to leave in the store. I ultimately decided that instead of making yet another pillow or tote bag, I would sew them lengthwise into a skirt for my youngest daughter. There are six silk pieces in all, each 9″ x 22″. I didn’t waste or cut any of the fabric – just sewed them all together lengthwise, then a small hem and a small roll for an elastic waistband. Then, of course, she needed something to wear with the skirt . . . this tank is a modified child-size version of Athens, knit with two skeins (437 yds/ea) of Alpha B yarn’s Single Silk B (70% superwash merino / 30% silk) in color Hey Sailor. I wanted a yarn with some silk, to produce a sheen that echoed the fabric of the skirt, and I thought the the deep navy color went best with all of the “water” colors of the skirt. The tank is knit on US 4s. When I learned that Bella’s dance class needed poodle skirts for the upcoming recital, but couldn’t find what they were looking for, I volunteered to sew the skirts for the seven dancers. I found a great on-line tutorial here, and bought the shiny satin fabric (I tried them first in pink felt, but the skirt was too stiff for dancing), white and black felt for the poodles, rhinestones for the eyes and ribbon for the leashes at the local fabric store. In order to fit all of the girls’ different sizes, I used velcro strips along the waistband, so that they would be adjustable. I glued and then sewed on the poodle, ribbon and eye, and because these skirts likely won’t see a lot of use, I didn’t worry about any of the nice finishing details. They actually came together pretty quickly, and looked wonderful at the recital! I saw a sewn sample of this A-line trench jacket at Hollyhill Quilt Shoppe, and asked my mom for the pattern – and technical assistance – for my birthday this year. Surprisingly, I was able to sew the entire trench with minimal assistance, but I did need her expertise in fashioning the lining, which wasn’t part of the pattern. I can follow a sewing pattern, but improvising – either by changing up or adding to what’s written – is definitely not my strong suit. The pattern is Indygo Junction Midtown Trench IJ866 – I sewed View A in size Large. The fabric is Martinque, by 3 Sisters for Moda, in color Coral. Although the pattern calls for interfacing only in the collar, because my fabric was just cotton weight, I also interfaced all of the major pieces (fronts, sides, and back). The result was heavyweight enough to be called a jacket (I think that without the additional interfacing and lining, it would fit and feel more like a big shirt, unless you used a more heavyweight fabric than cotton). I have been looking for a very shot, flow-ey skirt for summer and haven’t found anything I like, so I used Amy Butler’s Barcelona Skirt pattern (size large) and cotton voile fabric and lining to make one. The exterior fabric is Valori Wells Nest Cotton Voile Berries in color Rose, and the lining is a simple white cotton voile. I sewed the layered skirt version of the pattern – if you look closely, you can see that the skirt is made in four layers of the same fabric, with the raw edges exposed, so that they will eventually fray and give the skirt an interesting look. 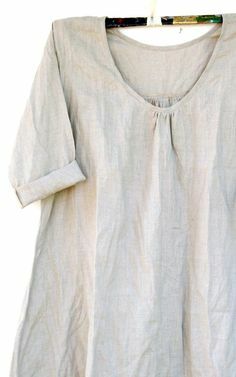 I’d like to try this again, with either different fabrics for each of the layers, or a heavier-weight cotton (so that the fraying effect would be more noticeable). The skirt is very quick and easy to sew, with the exception being the invisible zipper (which requires a specialized foot for the sewing machine). Even the zipper was quick once I figured out how to pin it in, but it was tricky getting the seam closed where the bottom of the zipper meets the back seam of the skirt. 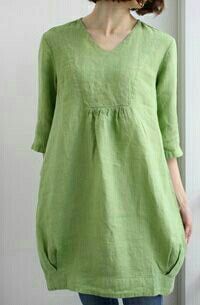 Amazingly, the fit was spot-on and didn’t require any adjustment of the side seams or any more of a hem than the pattern called for. 3. Along one length of the bottom piece, iron a 1/4” hem, then roll the hem up another 1/4” and iron. Sew in hem. 4. Sew a gathering stitch 1/4 from the top of the bottom piece – pull the threads to gather the fabric. 5.Stretch out the top piece on a counter, and pin the gathered end of the bottom piece to the top piece, right sides together, adjusting gathers so that the ends of the two pieces match up. Sew pinned pieces together. 6.Press seam toward top piece and top stitch 1/4” above the seam line. 7.Fold the skirt width-wise, right sides together – pin and sew, matching up the seams, so that you have a circle. Press open the seam. 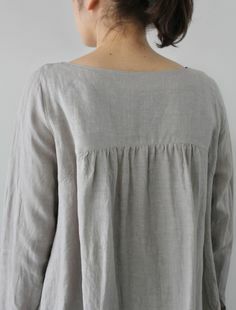 8.At the top of the top piece, press in a 1/4” hem, then roll and press in a 1 1/4” waistband – sew, leaving a 2-3” gap to insert the elastic in. 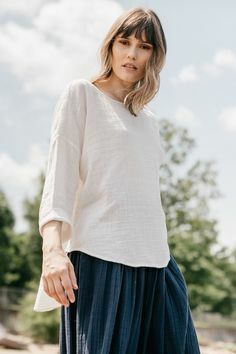 9.Insert a length of elastic with a safety pin at the end to help pull it through the waistband, gathering the waistband of the skirt as you go. Measure on your daughter to get the correct tightness, then sew the ends of the elastic together and cut off the excess. Tuck the waistband opening closed and sew. I cut both fabrics lengthwise and sewed them end to end — two lengths for the kitties, three lengths together for the peas. Then I sewed a hem in the bottom of the peas and a gathering stitch in the top, pinned it on and sewed it to the bottom of the kitties. I sewed a 1 1/4” placket into the top of the kitties and inserted a 1” elastic band, then sewed the entire thing together to make a circle – done! My mom and I made these fun skirts for my two youngest daughters this Christmas – I’ve used this pattern before, but they grow so fast I have to keep making new skirts! This is one of my favorite patterns because you can choose any fabrics you want, as many as you want, and it comes out looking different every time. It’s very simple sewing, but it can be time-consuming because of the gathering that is required with each level of the skirt. This time, we discovered a “magic tape” at Joanns that creates the gathers (so you don’t have to run a basting stitch) and that helped. The pattern is Portabellopixie – the Gracie sewing pattern, which we found (along with all the fabrics) at Hollyhill Quilt Shoppe in Willamette. There are so many color combinations to put together, I could keep making these skirts forever (if it wasn’t for all the gathering . . .) This summer, I want to try making a patchwork version – see if I can use up some of my fabric stash – by piecing together each of the four layers out of different fabrics, then sewing them all together. The cherries skirt (for my youngest daughter) went really well with leg warmers I knitted last year (green and white striped with a strand of green mohair knitted throughout). 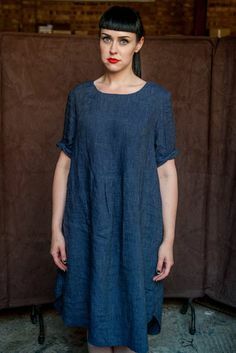 I’ve also made the sun dress (version B) on the pattern – it takes a little more work because you have to sew the bodice and the sleeves (well, not really sleeves, more like sleeve caps), but it comes out very cute, as well. When I make new dresses this summer, I’m going to pick fabrics to go with the incredible buttons I found here – it may seem odd to base an entire outfit on a button, but you’ll understand if you take a look at how amazing these are!